It should comes as no surprise that I do not agree with Kate Moss when she exclaims, “Nothing tastes as good as skinny feels”. One cannot truly experience a culture without gaining an understanding of the cuisine and its history, in my very humble opinion. 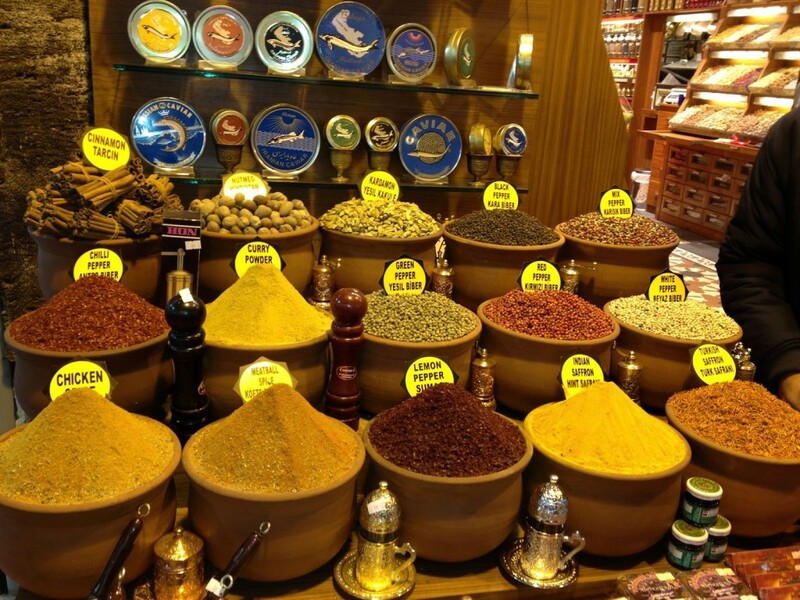 So one morning in Istanbul, I signed up for an off-site on the cuisine and spices of Turkey. 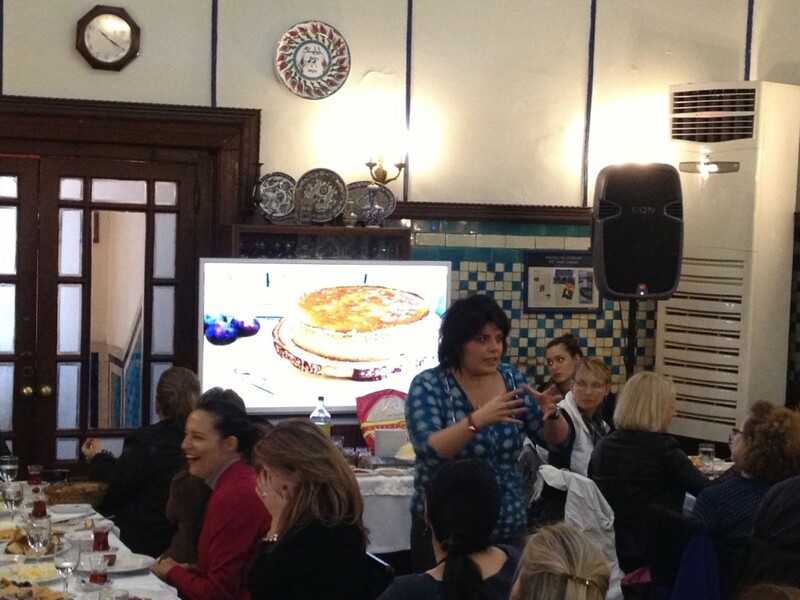 This included breakfast at Pandeli, a historic restaurant with a view over the Spice Bazaar, and a lecture on Turkish Cuisine by the Turkish “Martha Stewart”, Refika Birgul, a cookbook author, food columnist and TV personality. 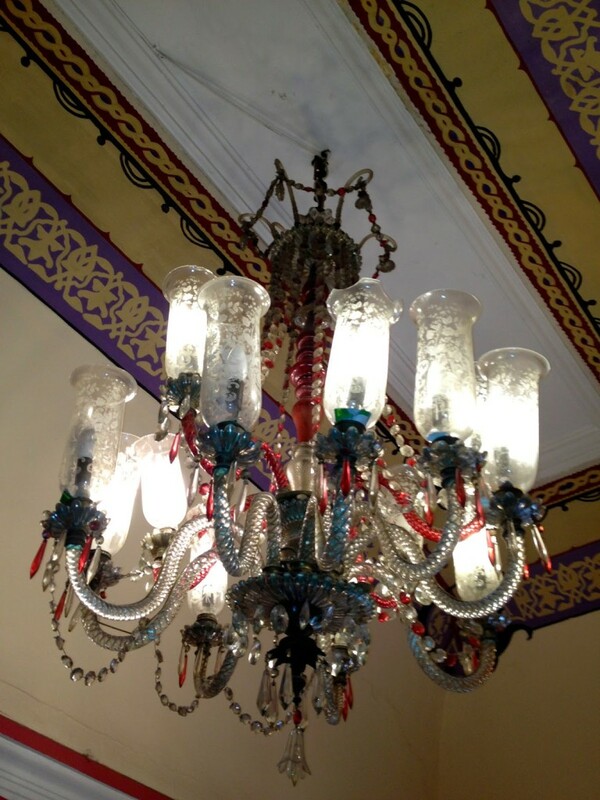 Often the first culinary stop in Istanbul for many travelers, the Pandeli restaurant dates from 1901 and is decorated with gorgeous turquoise tiles and crystal chandeliers. 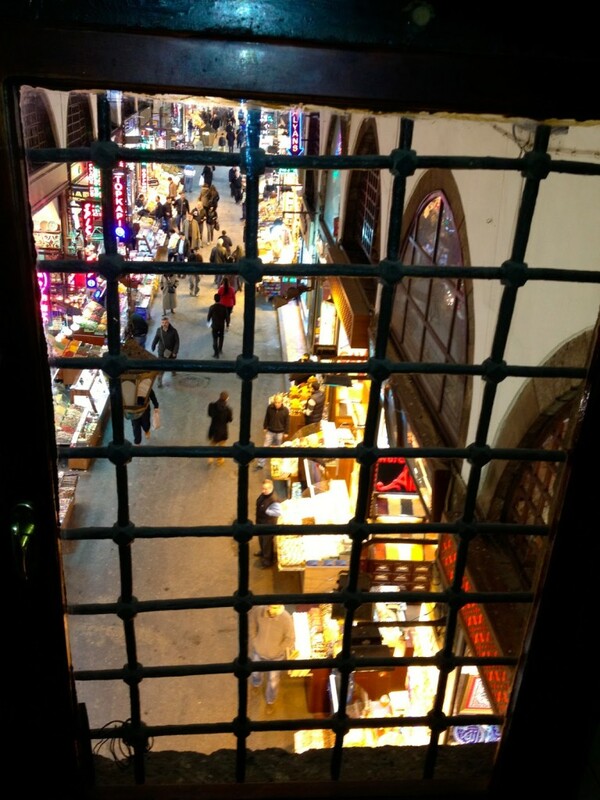 Try to get a table that overlooks the bazaar. 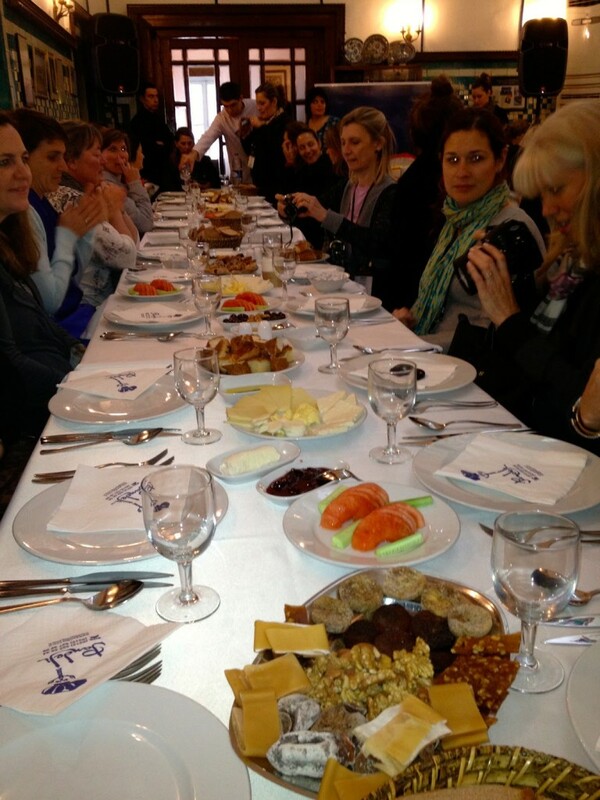 Long tables were preset with platters of tomatoes with cucumbers, assorted nuts and dried fruit (plums, pomegranates, figs), Turkish breads and pastries, and a variety of Turkish cheese. Meals typically start with some kind of soup, in our case lentil soup, which is said to be good for a hangover. Good thing as the night before we had been out late with a group from Mexico City at the nightclub Reina. 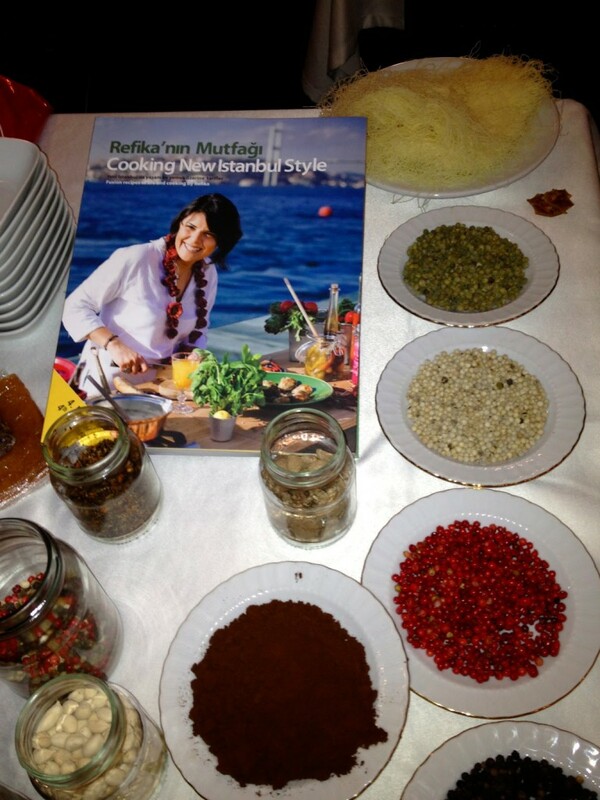 Next we were served Turkish-style eggs, eggs scrambled with tomatoes and green peppers, served with spicy sausages. The main course was a dish of pastrami cooked in parchment with preserved lemon. 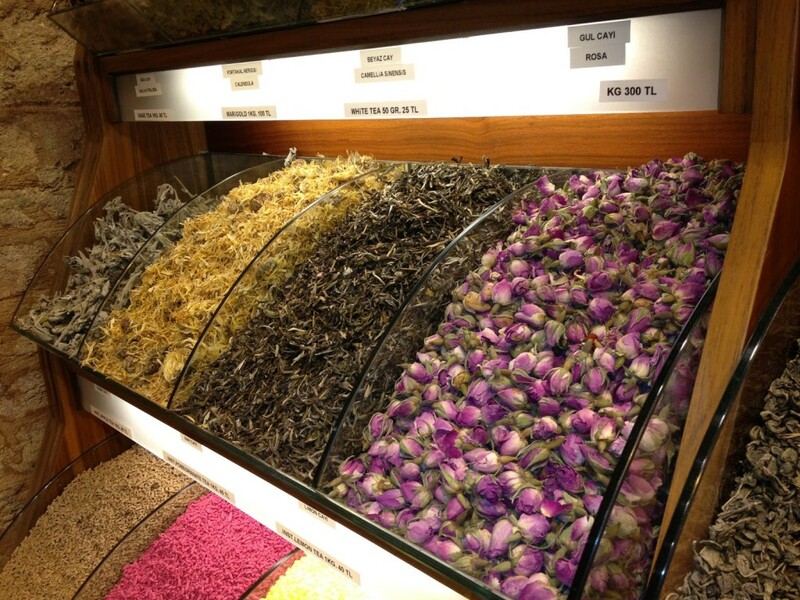 All the while we were washing the food down with plenty of black tea and Turkish coffee. 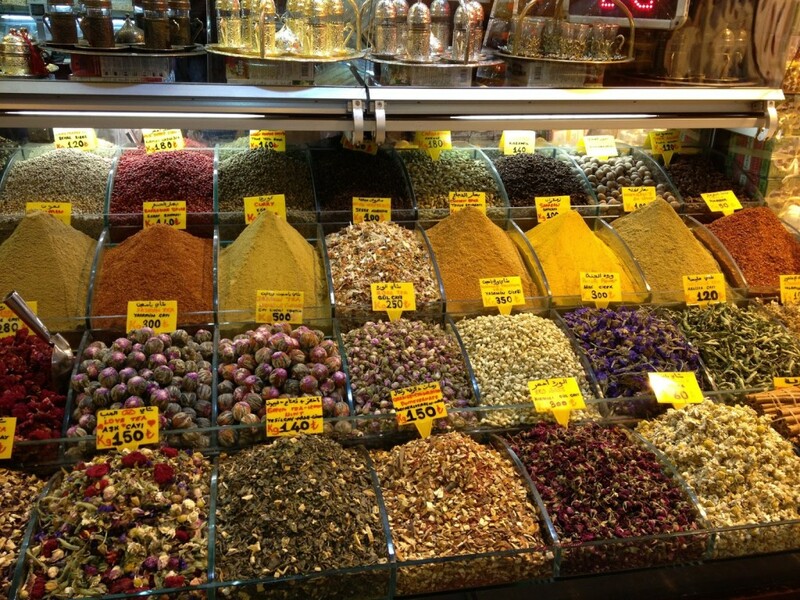 After our breakfast feast, Refika took a tour around the spice bazaar to show us her favorite vendors. She recommended we buy some Turkish pepper, the perfect mix of which is two parts black, one part red and one part green.